The object has non-zero acceleration and retardation during the time intervals from 5 sec to 15 sec and from 20 sec to 30 sec. 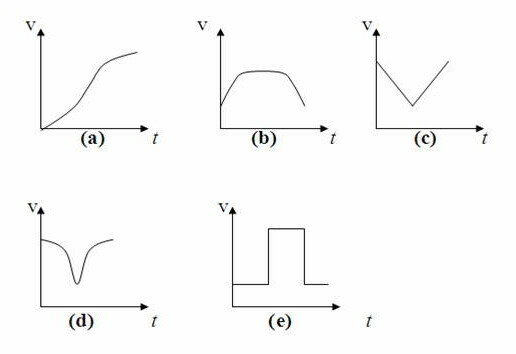 The total area under the velocity time graph during these intervals gives the required displacement. 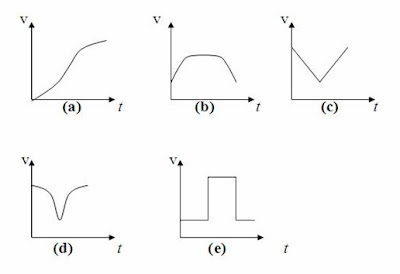 Which one among the following position-time graphs best represents the motion of the object? Change of position is slowest in the beginning and in the end. 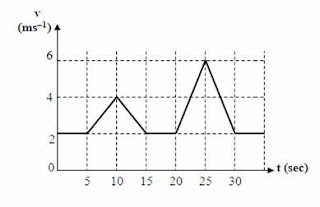 The motion is best represented by graph (c). 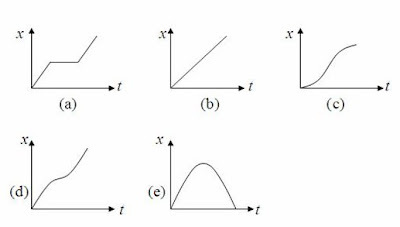 (3) Which one among the following velocity-time graphs best represents the motion of the object mentioned in question no.(2)? 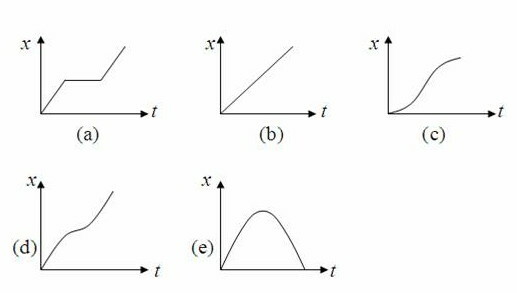 The graph (c) is the answer. (4) A particle projected vertically upwards attains the maximum height h in time t. While returning from the highest point it takes an additional time t1 to fall to the height h.2. If air resistance is negligible, how is t1 related to t? Comparing this with the value of t given in Eq (ii) we obtain t1 = t/√2. The time taken by the ball to move from height h to the top of its trajectory and back to the height h is t2 – t1. Therefore, the time taken to move from height h to the top of the trajectory is (t2 – t1)/2. 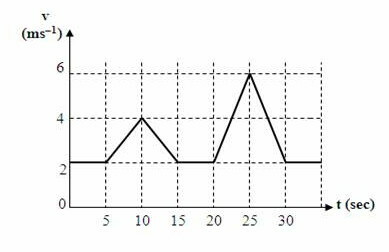 The total time taken for the upward journey (from ground to the top most point) is evidently t1 + t2 – t1)/2 = (t1 + t2)/2. Questions on kinematics were discussed earlier on this site. You can access them either by clicking on the label ‘kinematics’ below this post or by trying a search for ‘kinematics’ using the search box provided on this page.